This little gem popped up in our classifieds listing recently, which we also featured on our facebook page. The response was so great, the car sold rather quickly! Looking for your next classic? 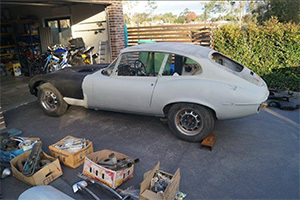 You can search our listings for another Jaguar here, or how about looking through the full list of what's currently for sale to find your next project car. Join Jim Richards for a shake-down run at Sandown recently in his Touring Car Masters Javelin. 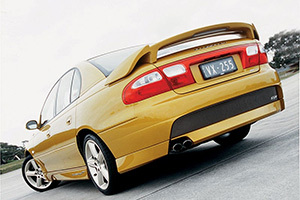 If you're in the market for a 1996-2006 HSV Clubbie, this is a must read. Cliff Chambers gets into the history, the specs and a buyers' checklist of what to look for. Our tame race driver John Bowe says he had one of these when he was 18. 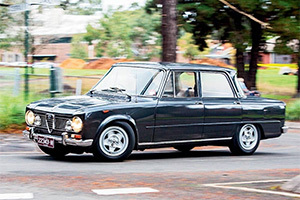 For a recent 'Past Blast', we put him in the driver's seat of this beautiful 1967 Giulia Super. What did he think of the Alfa? "I couldn't believe how good it was to drive. I gave it a good go, too!" he says. A lot's been happening on our facebook page lately, have a look here and let us know what you think. 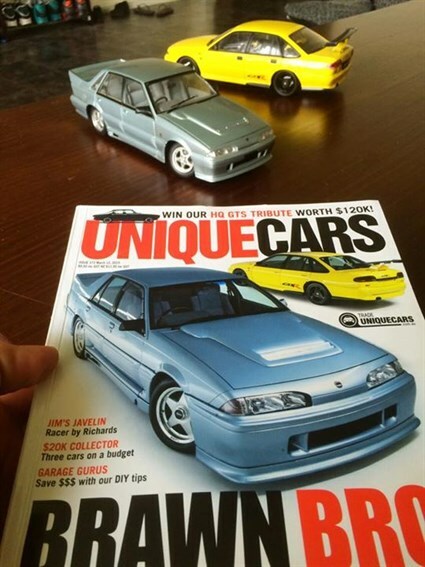 Holden Number 1s: A couple of issues ago, we featured two iconic HSVs on the cover, both of them plated #001 of their respective production run - the HSV VL Group A Walkinshaw & VS Holden GTS-R.
James Bryden has gone one better and positioned his two scale models next to the cover of issue #373 and posted the pic to our facebook page. Nice work, James!